The bar chart below shows the top countries by average internet speed in Q4 of 2015. South Korea holds a significant advantage, almost 8Mpbs faster than second place Sweden. Data rows are used to show the percent of requests that were above 10 and 15Mbps. Includes business and residential connection speeds but excludes mobile connections. This entry was posted in Bar chart and tagged Business, Global, Internet, Technology by Aploris. 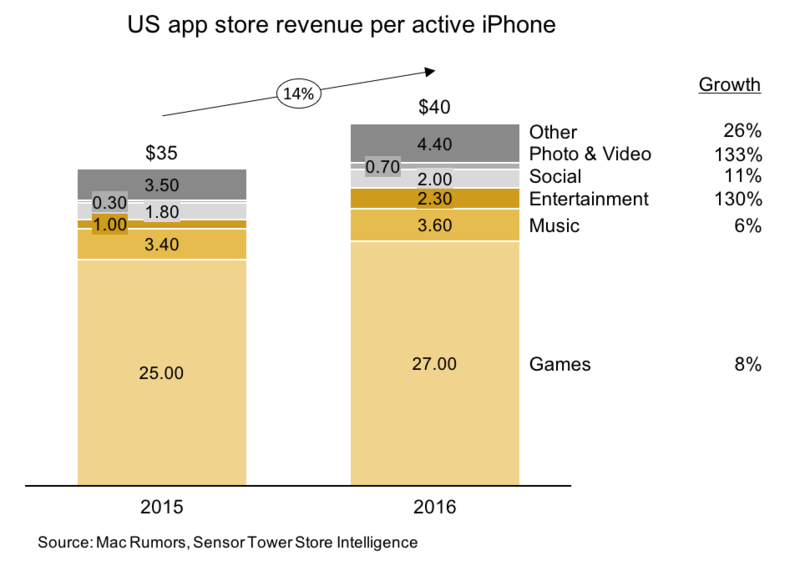 The stacked bar chart below shows US app store revenue per active iPhone. Game apps make up the majority of spend. Revenue per iPhone increased 14% between 2015 and 2016. The data column to the right of the chart provides the growth for each category. This chart was built using PowerPoint and the Aploris add-in on a Mac. This entry was posted in Bar chart and tagged Business, Internet, Mobile, Social media by Aploris. The bar-mekko chart below shows GDP per capita and population in the 10 countries with the highest GDP per capita. 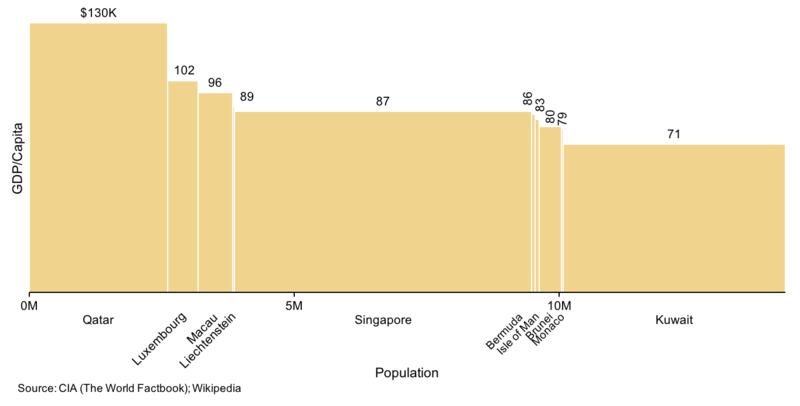 The height of each segment is proportional to GDP per capita and the width is proportional to the population. As a result, the area of each segment is proportional to the total GDP. This chart was built using PowerPoint for Mac 2016 and the Aploris add-in. This entry was posted in Bar-mekko and tagged Business, Economics, Global by Aploris. The stacked bar chart shows the earnings (USD) for the 25 highest paid athletes in 2016. The earnings are split based on what the athletes earn directly from their sport (salary, bonus, prize money) and other income, including endorsements. Some athletes, including Tiger Woods, Phil Mickelson, and Roger Federer, earn most of their income through other sources (likely endorsements). This entry was posted in Bar chart and tagged Business, Sports by Aploris. The Mekko chart below shows some of the entities affected by large data breaches. The entities are organized in columns based on their category and the width of the column represents the number of records affected. Each entity is represented by a segment in a column and the area of the segment is proportional to the number of records affected. This entry was posted in Marimekko and tagged Business, Data, Technology by Aploris. The Mekko chart below was built in PowerPoint and shows the number of women working at select tech companies. The width of each column represents the number of employees at the company. The height of the orange/yellow segments indicate the percent that are women and the area of the segments represents the number that are women. 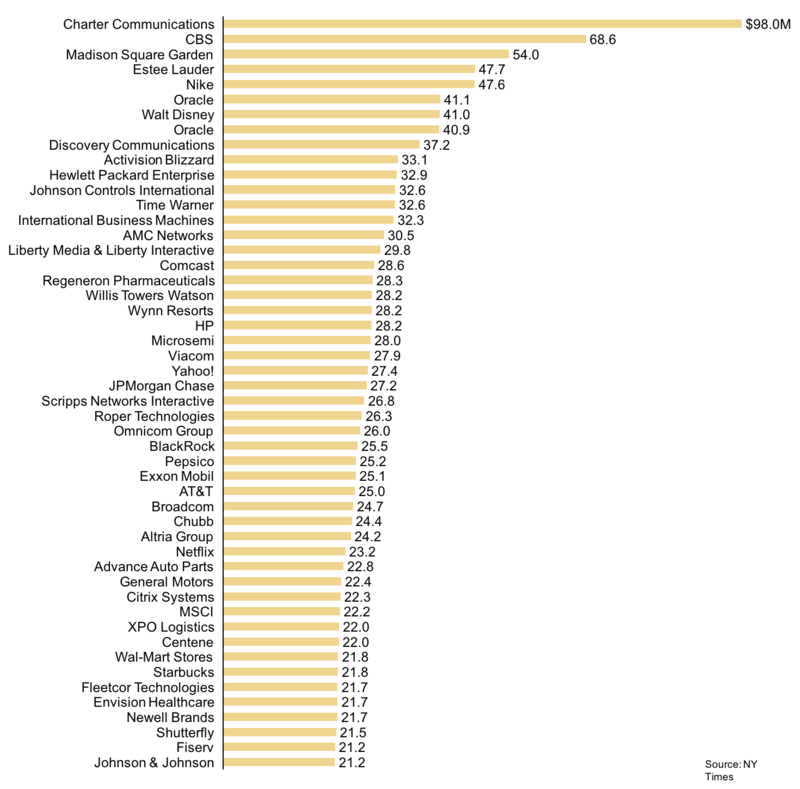 eBay has the highest percentage of female employees (tallest) and Microsoft has the largest number of women (largest area). This Mekko or Marimekko chart was built with PowerPoint using the Aploris add-in. This entry was posted in Marimekko and tagged Business, Technology by Aploris. The bar chart below represents a histogram of the number of hours Americans work a day. A histogram is a bar chart where the height of each bar is proportional to the frequency of a variable at a certain value. For example, of Americans that worked, 13% worked 8 hours a day and 95% worked 12 hours or less. The sum of all the frequencies adds up to a 100%. This bar chart/histogram was built using Aploris on a Mac with OS X. This entry was posted in Bar chart and tagged Business, Work by Aploris.